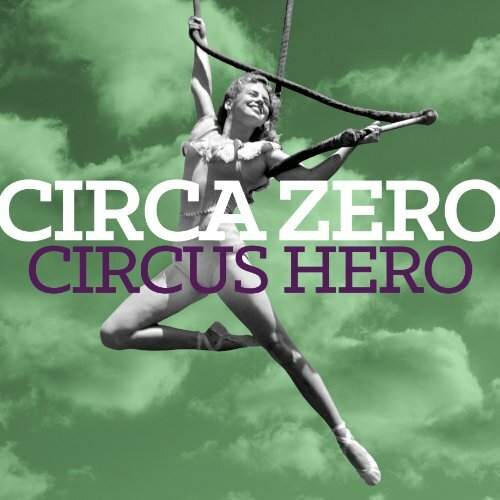 In 2014, Circa Zero released their first album, "Circus Hero". But will it be their only release? What has happened to this promising rock duo? Fans of classic and modern rock had a lot to look forward to, when in 2013 legendary guitarist Andy Summers and multi-instrumentalist Rob Giles announced they had formed a new band: Circa Zero. Circa Zero would be Andy's first rock band since The Police and fans couldn't wait to hear what he'd come up with, paired with a talented singer and song-writer like Giles. Their debut album, "Circus Hero", was finally released in 2014 to generally positive reviews. But after a few live and tv appearances, news about the band seemed to dry up and the future of the duo became highly debatable. 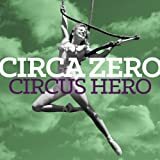 Released in March 2014, Circa Zero's debut album Circus Hero was certainly one of my most anticipated albums of the year. As a lifelong fan of Andy Summers and The Police, I couldn't wait to hear what this new duo of musicians would produce. Circa Zero's Circus Hero: Is this what new classic rock sounds like? 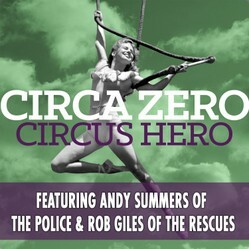 Circa Zero came together as Andy Summers was looking for new projects and collaborators to work with after the conclusion of The Police's 2007-2008 Reunion Tour. A mutual friend invited Summers to see a performance by Rob Giles' band The Rescues, and he was immediately impressed by what he saw, particularly Giles' vocals and instrumental skills. Their first public concert took place on July 25, 2013 at the El Rey Theatre in Los Angeles. It was well received and got many excited to hear more, as they got back to the studio to finish working on their debut album which was released in March of the following year. You can read more about the band and how they came together in a 2013 Guitar World interview with Andy. According to an article on the AntiMusic website, the name reflects "a new beginning or fresh start" ...the band had no "definitive musical agenda in mind but instead, following their muse". Is Circa Zero alive or dead? Personally I definitely think the lack of a drummer that really fit the band was a problem. When Emmanuel left, her replacement just had too heavy and clunky a sound, in my opinion, and there simply can't be a weak link in a rock trio if it's going to succeed. Andy now seems much more busy, in early 2015, promoting the wide release of his 2012 film "Can't Stand Losing You: Surviving The Police". Rob Giles released a solo EP and has performed again with The Rescues, according to his Facebook page. So perhaps Circa Zero was simply not meant to last past one album? A shame, because although I did not think their first album was perfect it definitely showed a lot of promise and I'd hoped to see how the project could evolve with time. The band's official website. Sign up there for their mailing list. Official Facebook page for the band, where you can chat with other fans and share your thoughts on their music. Website for the guitarist Andy Summers. Website for singer/songwriter Rob Giles. Fan-run website for The Police, which will include pages and content about Circa Zero as more information is available. Looking for a vinyl version of the album? Review of the band's debut performance in Los Angeles. August 2013 interview with the band, from the Rolling Stone magazine website. March 2014 interview with Andy Summers for the Ultimate Classic Rock website. March 22, 2014 interview with Andy on the eve of the "Circus Hero" release.